Here’s a 12-second sneak peek of Hozier’s new song Better Love, featured on the soundtrack of the new movie, The Legend of Tarzan. The film is set for release in North America on July 1, 2016 and July 7 in Ireland and the UK. Check here for other countries. Reports from fans in New Zealand is that the song is streaming on Spotify there (3:25 AM local time), making the release date of June 17 likely. Look for the track after midnight wherever you may be. On June 16, All Songs Considered will have an exclusive interview with Hozier, who appears to be at a piano in this promo shot. 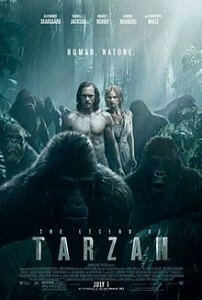 “The Legend of Tarzan,” starring Alexander Skarsgård (HBO’s “True Blood”) as the legendary character created by Edgar Rice Burroughs. The film also stars Oscar nominee Samuel L. Jackson (“Pulp Fiction,” the “Captain America” films), Margot Robbie (“The Wolf of Wall Street”), Oscar nominee Djimon Hounsou (“Blood Diamond,” “Gladiator”), Oscar nominee John Hurt* (“The Elephant Man,” the “Harry Potter” films), with Oscar winner Jim Broadbent (“Iris”), and two-time Academy Award winner Christoph Waltz (“Inglourious Basterds,” “Django Unchained”). *Note: After his death, it was revealed that John Hurt played Tarzan’s grandfather but the footage did not make the final edit. Tagged better love, Legend of Tarzan, soundtrack. Bookmark the permalink. We’re looking forward to it too! Thanks so very much for keeping us up to date. So exciting! Better Love sounds haunting, I can’t believe he has managed to release something so quickly.